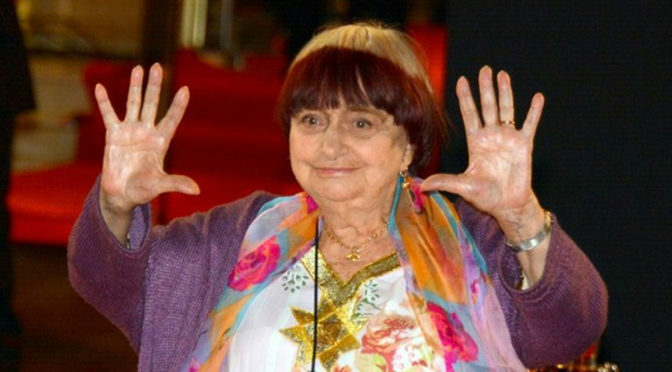 At 90 years old and still creating visionary cinema, Agnes Varda is truly inspirational. She is known as the ‘grandmother’ of the French New Wave, with her debut film LA POINTE COURTE sparking the movement in 1955 in a profound rejection of tradition. French New Wave cinema resists traditional Hollywood, and it was Varda’s daring innovation and experimental style that paved the way for people like Jean-Luc Godard and Francois Truffaut. Varda had seen very few films before making her first film LA POINTE COURTE. In fact, she’d barely seen twenty; so it’s remarkable that she was able to create something so inspirational that it ignited the flame of the New Wave. She was able to ignore conventions and create cinema that is free of tradition and what had come before it. Varda was part of the lesser known New Wave directors referred to as the Left Bank group, which principally consisted of Agnes Varda, Alain Resnais and Chris Marker. Not only did they live on the left bank of Paris, but were also on the left politically. They viewed cinema as akin to other arts, and experimented more with aesthetics and sound, placing them in the avant-garde wing of the movement. Varda studied as a photographer before taking on the role of director. She once said, “I take photographs or I make films. Or I put films in the photos, or photos in the films.” Her photographic eye undoubtedly influences the aesthetic of her films. Lots of her shots are structured like photographs; medium close-ups are a particular favourite as she presents nameless faces who look directly into the lens of the camera, as though they are having a portrait taken. The French New Wave introduced the treatment of film as art, and you can certainly see that in Varda’s work; not only do the shots resemble photographs, but are also positioned and constructed like a cubist painting, with faces reassembled in an abstract form to create a captivating mise-en-scène. It is not only Varda’s unique style that makes her stand out, but she also stands out as a feminist filmmaker. Lots of her films follow the narrative of female protagonists, including her second feature film CLEO FROM 5 TO 7 (1962) in which main character Cleo awaits her medical test results. Varda is able to transform a mundane subject into something fascinating with her experimental editing, cinematography, and sound that captivates audiences from the start. VAGABOND (1985) follows the narrative of a young woman named Mona; we see Mona has died at the start of the film, while the rest tells the story leading up to her tragic death. 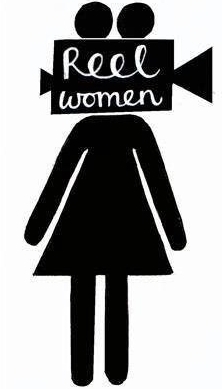 These are the untold stories of women, not only refreshing in the type of characters she shows, but also in the way that the narratives do not revolve around a love interest, as is frequently shown when women are on screen. Varda’s films allow the spectator into private and intimate scenes in situations that are not often shown on screen; she grants access to these individual stories of women who step outside of the conventional Hollywood characters. Varda’s films have a very self-conscious style and often draw attention to the film as a construction; she is not bound by trying to fool the audience into believing that what they see is reality. She plays with the editing and uses colours and shapes to show that she has carefully arranged her films as art. New Wave films were known for their aesthetic self-consciousness, and were not only about people or ideas, but also about filmmaking itself. There are moments in Varda’s films where the characters break the fourth wall and actually address the spectator. She consistently uses a reflexive style, allowing the spectator to recognise that they are witnessing a construction. What Varda does always show is the essence of life; whether it’s intimate moments between a couple in LA POINTE COURTE, an anxious two hour wait in CLEO FROM 5 TO 7, the journey of a nomad in VAGABOND or adulterous scenes in LE BONHEUR, Varda shows us fragments of the everyday through personalised tales. She explores social commentaries through her narratives; not only showcasing her artistry, but also her political leanings by portraying people from lower class backgrounds, rural communities, or those with previously unvisited stories. Varda also blurs the line between fiction and reality; she is known to use natural locations and nonprofessional actors within her films and effortlessly switches between feature-length fiction, documentary, and shorts. She often creates autobiographical documentaries, including ThHE BEACHES OF AGNES (2008) where Varda revisits places from her past, recalls moments from her life and celebrates her 80th birthday on camera. Consistent within Varda’s films are people, “I love filming real people; I love to connect with the kind of people we don’t know so well” she says. So it makes perfect sense that her latest documentary feature film FACES, PLACES takes Varda through rural France meeting various communities of people and capturing gigantic portraits of them. Varda became the oldest person to receive an Oscar nomination with FACES, PLACES. She has over fifty credits as a director of fictional films and documentaries, and more than forty as a writer. She is not only the grandmother of the French New Wave, but a legend in worldwide cinema whose radical and inspiring work will be remembered for years to come.